The Acne & Rosacea Clinic is dedicated to treating patients with acne and rosacea. A physician referral is NOT needed to make an appointment at the clinic. Online booking available. Acne is a disease of the oil-producing glands that affects both males and females, from adolescents to mature adults. Acne lesions can be simple whiteheads and blackheads, or deeper inflamed pustules, nodules, and cysts. 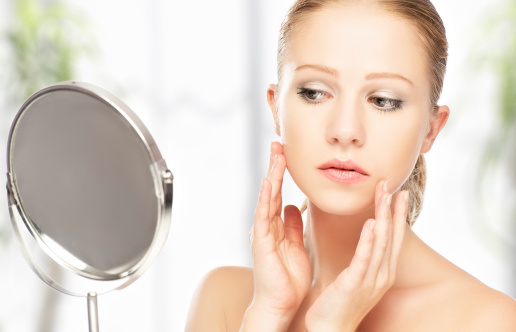 Deeper acne can lead to scarring, so patients are encouraged to consult and get treatment early to minimize scarring, which, if it occurs, can have negative impact on self-esteem. In our Acne & Rosacea Clinic, the severity of acne is assessed, and an appropriate treatment is prescribed. Most often, combination treatments work best. Each patient is counselled on how to use their products, and is offered follow-up appointments to ensure that their skin is improving. Scarring and hyper-pigmentation on the skin is a common complication of acne. A consultation for scarring includes assessing the type and severity of acne scars, and advising on different treatment options that are safe and appropriate for your skin type. Options include medicated creams, sunscreens, and a variety of cosmetic procedures. Rosacea is a chronic inflammatory condition of the skin that consists of redness, swelling, acne-like red or white bumps, and dilated blood vessels called telangiectasias. Treatment options for rosacea include creams, oral medications, laser and light treatments for redness and vessels, and other cosmetic treatments. Sun protection is an important component in the treatment of rosacea. Sunscreen information and advice is provided at the Acne & Rosacea Clinic.